Ducks, let’s get in the car. Those are some of our favorite words. 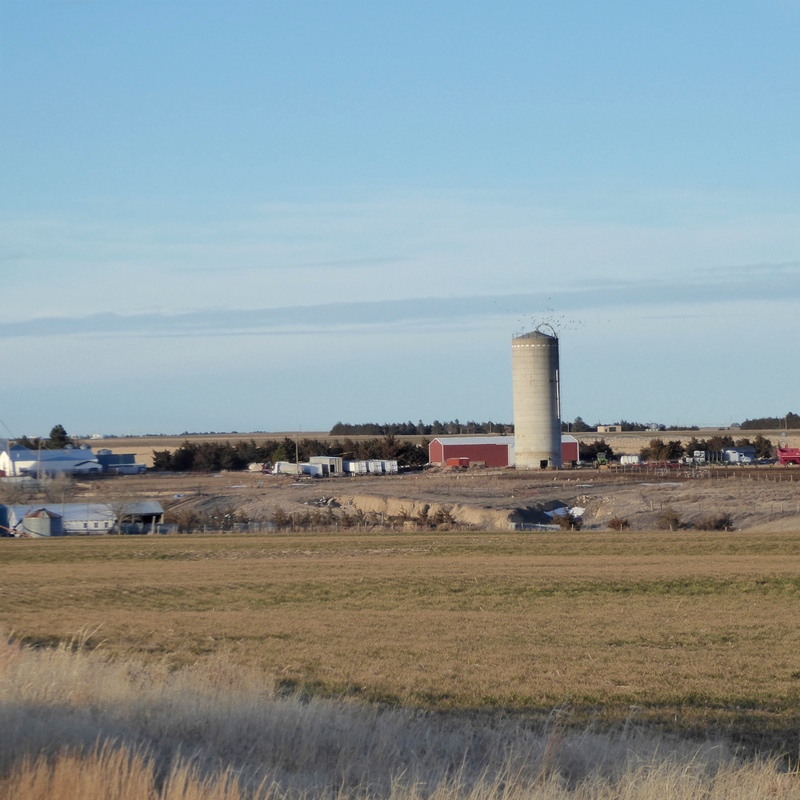 Driving east on I-70 from Denver, we passed Limon and Burlington and entered Kansas. 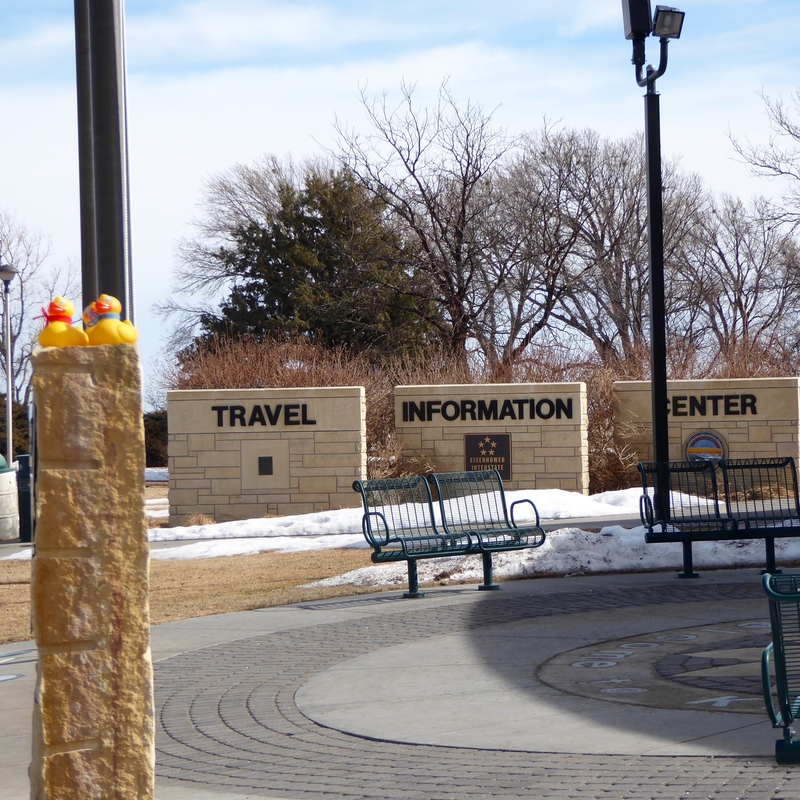 Naturally the first stop was the Kansas Welcome Center for travel information. The wind was strong here. Our next stop was Goodland, Kansas to see the Van Gogh. 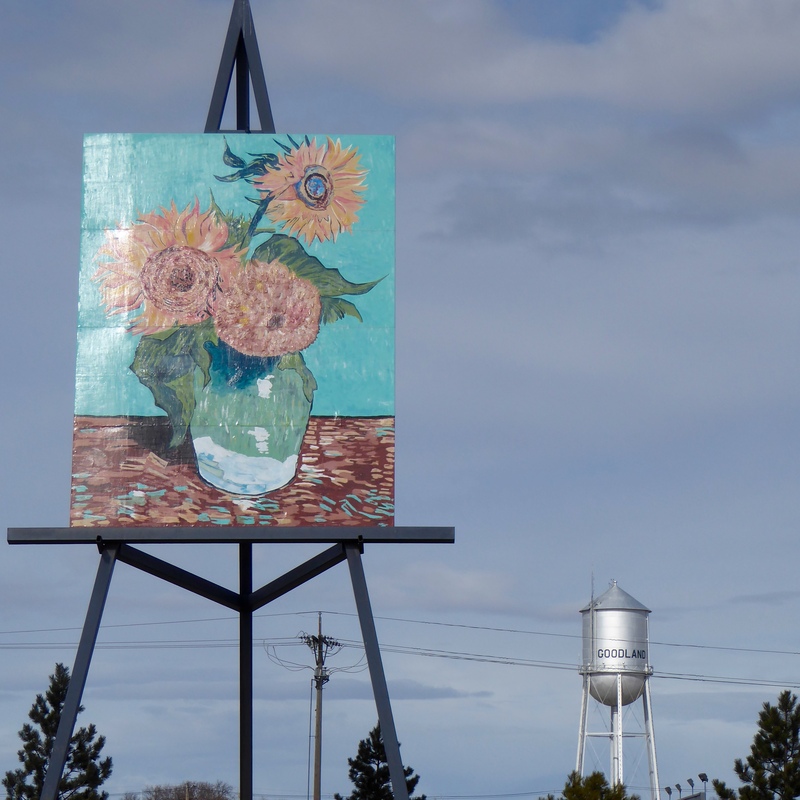 A huge, 80 foot tall, reproduction of Vincent Van Gogh’s “Three Sunflowers in a Vase”, on an easel stands tall in Goodland. The reproduction was painted by a Canadian artist, Cameron Cross. If you are on I-70 in western Kansas, you should stop in Goodland to see this. Continuing east we took Exit 70 to Oakley, Kansas. As you may guess, this was the home of Annie Oakley, originally Annie Moses. 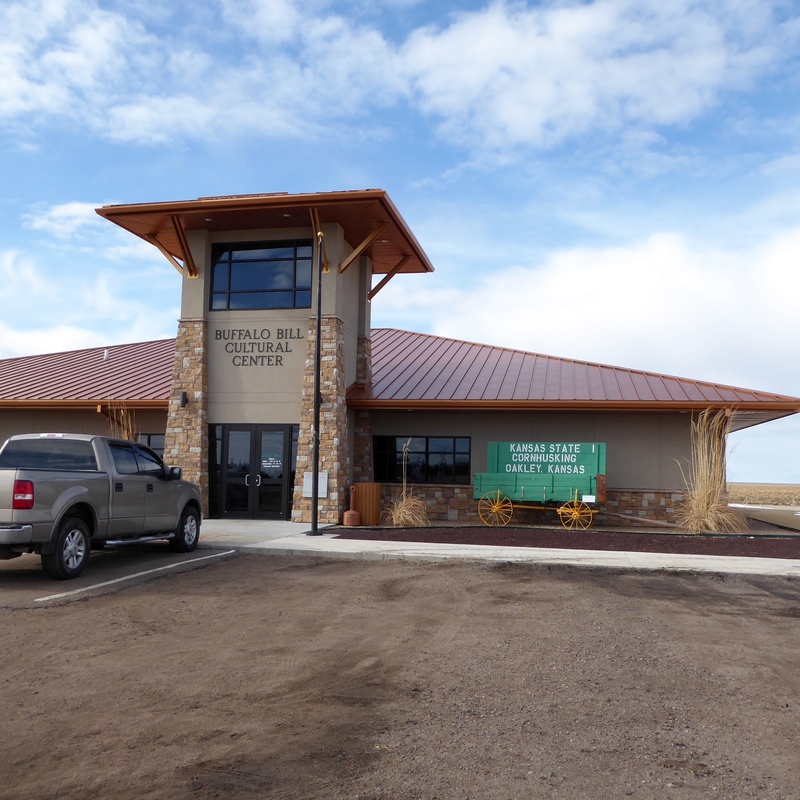 We stopped at the Buffalo Bill Cultural Center. The big attraction here is the statue on a hill. 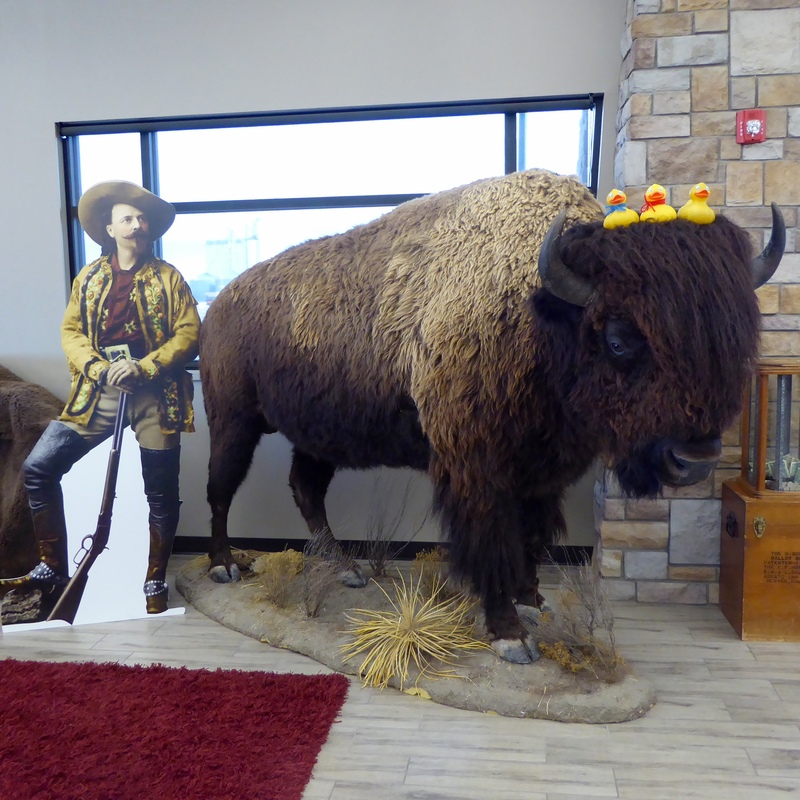 Buffalo Bill and a buffalo. Inside, the Colorado Traveling Ducks, sat on the head of a buffalo. We believe this was our first buffalo sitting. Buffalos are big. So far, Kansas was all farmland. 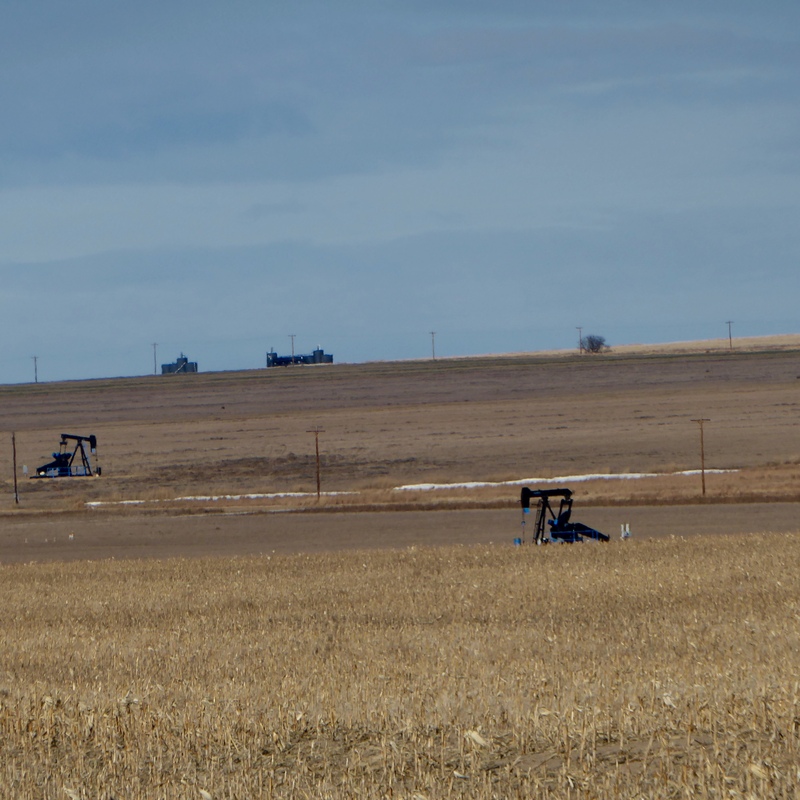 We headed south on Hwy 83 toward Oklahoma, and soon we saw pumping oil wells. Turning off the highway onto dirt roads, we were heading for Monument Rocks. We liked this view of the road. 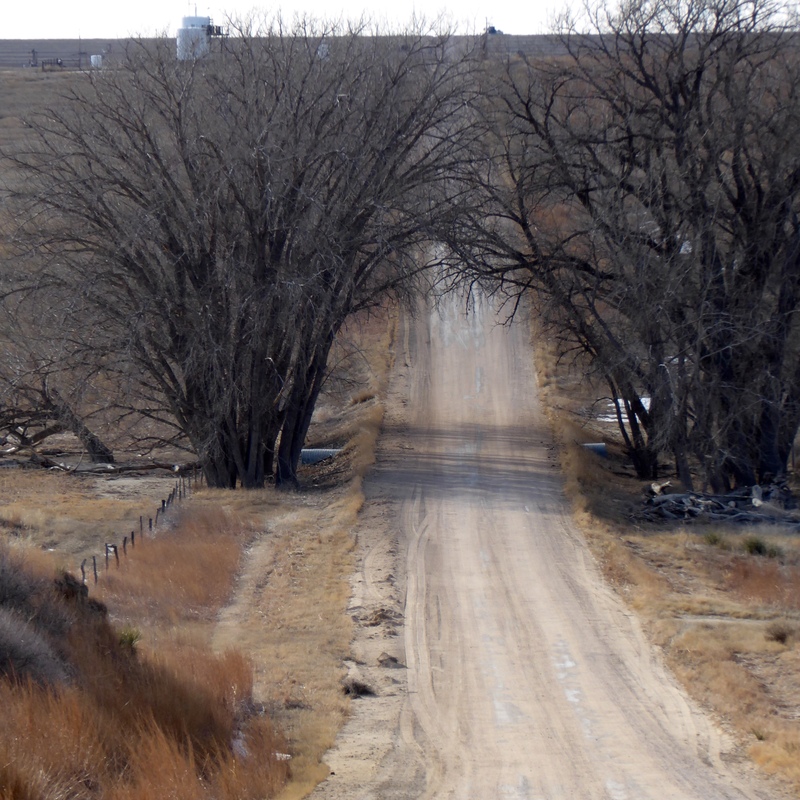 There are not many trees, but these two near a river bed formed an arch over the road. Suddenly we spotted the Monument Rocks, also known as the Chalk Pyramids of Kansas. 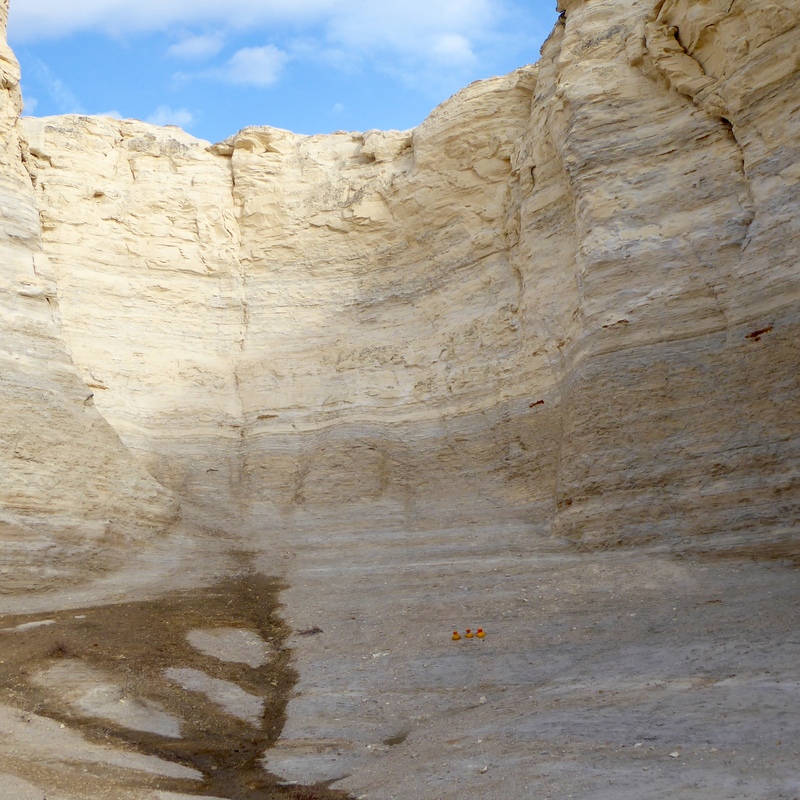 The 70 foot tall sedimentary formations of the Niobrara Chalk were created 80 million years ago when Kansas was a vast inland sea. We parked and walked around some of the chalk pyramids. They are really big and we are really small. Mom had to be careful where we sat. The wind blew us away a few times. We love arches. We three ducks are on the ground on the right side of the arch. If you look closely, you can see us. 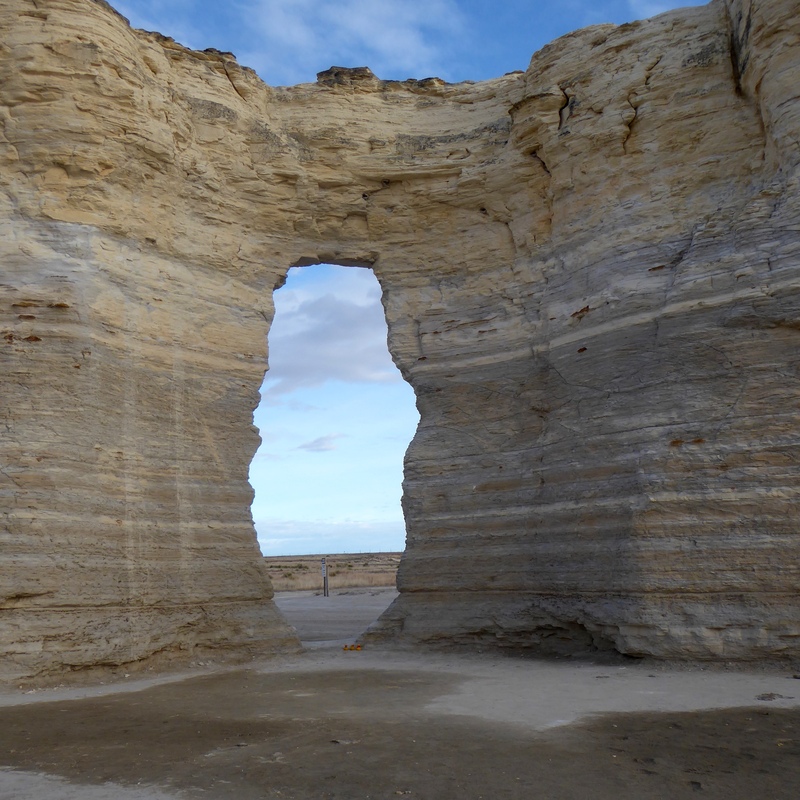 These Monument Rocks, or Chalk Pyramids were the first to be designated as a National Natural Landmark by the US Department of the Interior. These Chalk Pyramids are on private rangeland but the owner opened the land to the public. The Chalk Pyramids are fragile, and humans are asked not to climb on them. 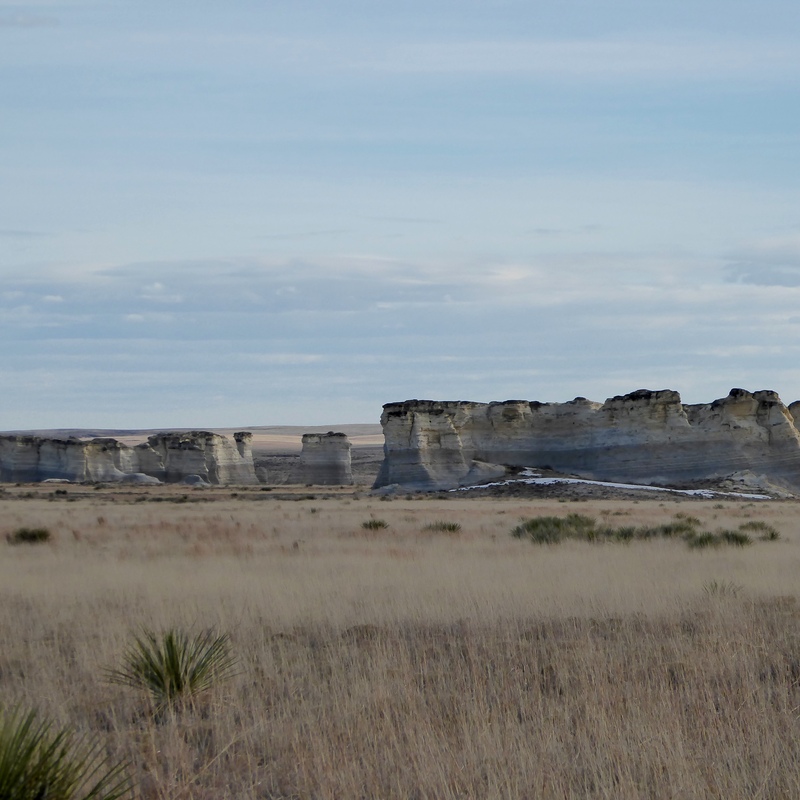 The Monument Rocks, or Chalk Pyramids are on both sides of this dirt road. Monuments Rocks or Chalk Pyramids of Kansas Mom is experimenting with the panorama feature on the camera. We think these formations, about 27 miles south of I-70 are worth the time to leave the interstate and see some of what Kansas has to offer. When you are in Kansas, be prepared for lots of wind. 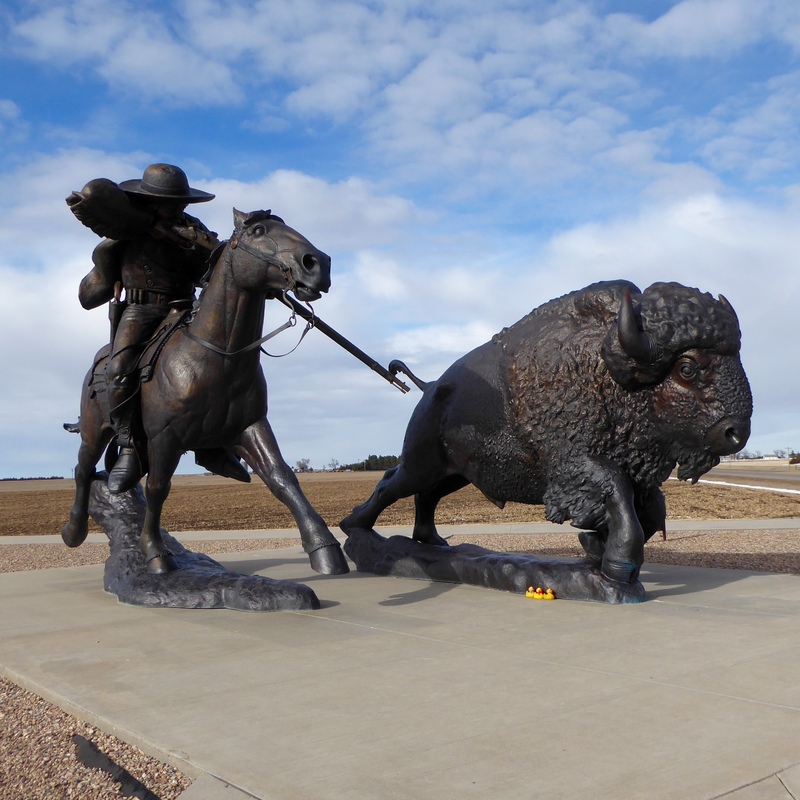 This entry was posted in Kansas, Uncategorized and tagged Annie Oakley, Buffalo Bill, Cameron Cross, Chalk Pyramids of Kansas, Colorado Traveling Ducks, Goodland, Kansas, Monument Rocks, Oakley, Three Sunflowers in a Vase, Van Gogh. Bookmark the permalink. You found some amazing big things on this trip. And most of it was a surprise. I had never heard of the Chalk Pyramids of Kansas. It was fun. Thanks for reading and commenting. 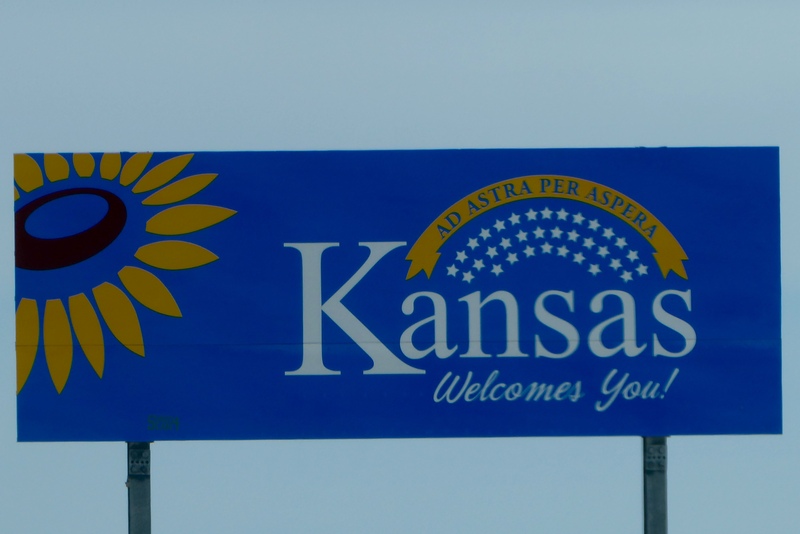 Those monument rocks looks pretty cool and seem unexpected for Kansas. Nice post. Thanks. I was surprised to find the Chalk Pyramids in Kansas. They are very impressive. Thanks for reading and commenting.